Shannon Shorr is all in on the button and both blinds call. 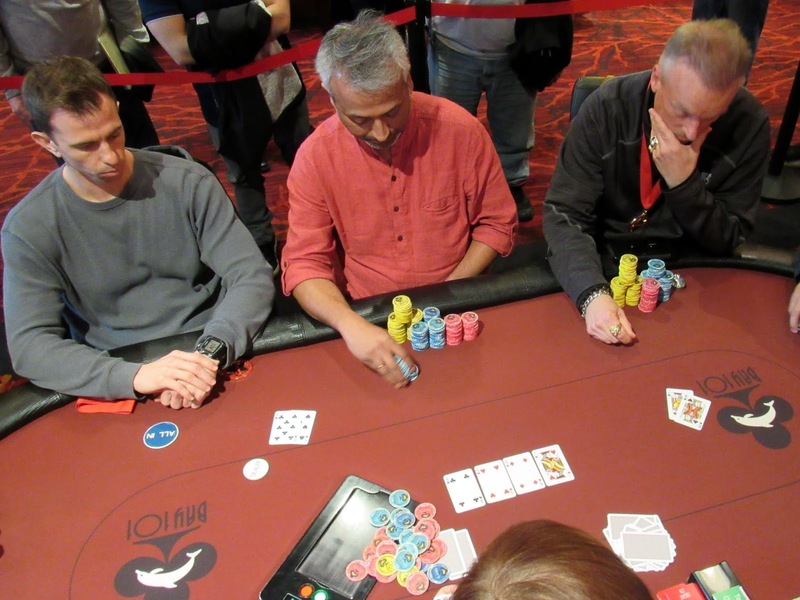 Pat Lyons bets into a dry side pot on the [4c][4h][4d][Jh] turn, and the small blinds folds. Shannon will need an eight on the river to survive, but the [2d] falls instead to eliminate Shannon. After the hand, Pat is up to over 270,000.